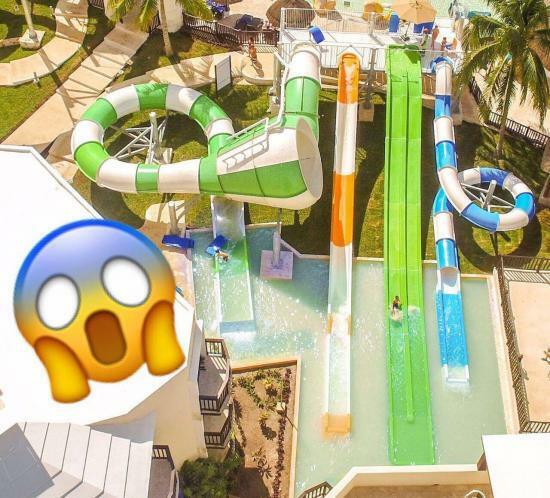 The most fun water park in the Riviera Maya is located at Sandos Caracol Eco Resort, with 29 slides available at no extra cost to all guests. Open every day from 10 a.m. to 5 p.m., the Aqua Park is available for kids and grown-ups to enjoy great spins that end in a fun splash, all within a family-safe environment, surrounded by the jungle. 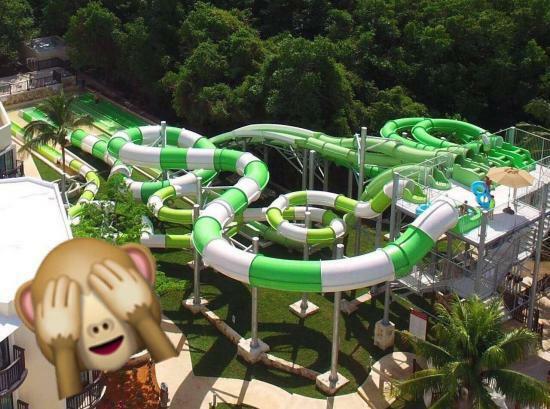 The Aquatubo slide is the longest of all, but don’t take it too easy, it has three loops that may surprise you! 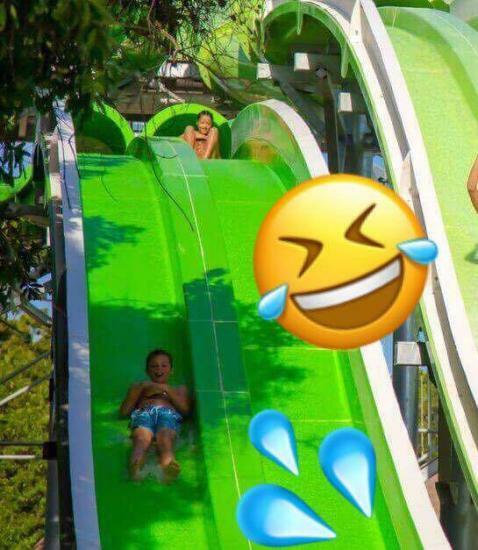 Restrictions of this slide: Only for those at least 1.40 meters (4 feet 7 inches) tall and with a maximum weight of 130 kilograms (287 pounds). If you want an adrenaline shot, the Octopus was made for you. 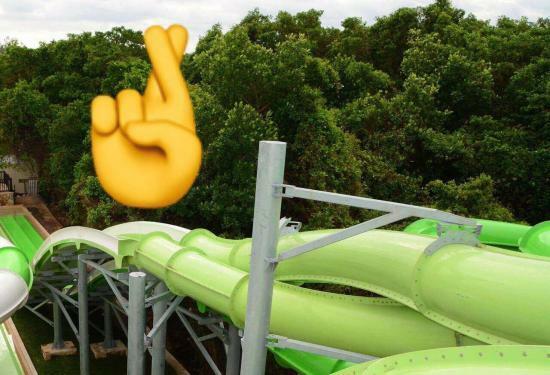 This twin water slide will give you a turn just before falling, so get ready! 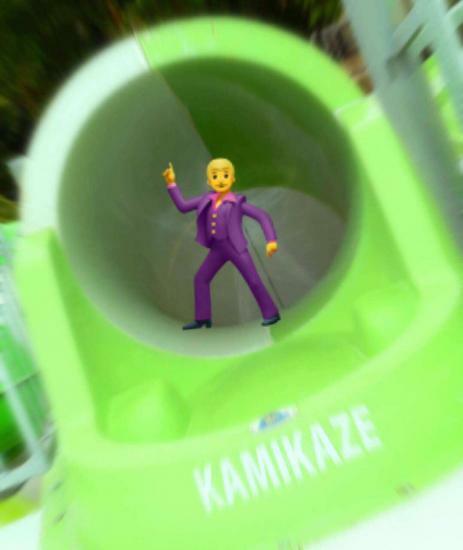 If you feel adventurous, you can’t miss a classic: the Kamikaze, whose speed won’t disappoint you. Only for the bravest! The Tornado waterslide will make you feel like you’re rising through the air by its funnel shape. Adrenaline will be your best friend! Trenza is another twin waterslide, and while sliding on it you will switch places and end on the opposite side as you go into the water. What a way to beat the heat! The little ones get to splash around in the mini pool, where there is a giant bucket that surprises them with lots of aqua-fun! And after so much energy, you and your family will surely feel a ravenous appetite, so visiting the snack bar is a must! Hamburgers, hot dogs, chips and soft drinks are available for everyone. The Aqua Park and more than 40 activities are included at no cost for guests staying at Sandos Caracol, a resort located on Mexico’s Caribbean coast. For more information, visit the Aqua Park FAQ. Remember, the aqua-fun is included!